MilagoCondos.com was created by Bryan Cady of DEN Property Group to help educate future homeowners considering Milago Condos or downtown Austin condos as well as assist current homeowners feature their homes. MilagoCondos.com is the only website with an interactive floor plan map as well as current availability. Get familiar with the floor plans Milago has to offer and find one that suits your needs. You can then check out the Featured Homes and the current availability for Milago including homes for sale or for lease. Finally, Schedule a Viewing and let us give you the grand tour or help you find the perfect place for you. Interested to learn more about our Exclusive Listing Services including getting featured on MilagoCondos.com? Contact Bryan and his team. Bryan Cady’s influence has shaped the urban core of Austin for more than a decade. 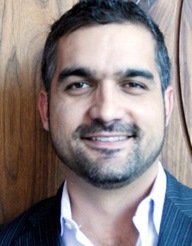 Most recently, he was ranked #6 in Austin Business Journal's "Top Real Estate Producers" for 2008. His expertise, ranging from architecture to buyer/seller representation to project marketing, makes him an invaluable asset to any client. Bryan caters to the first-time homebuyer as well the seasoned developer; however, he continues to excel as one of the top listing agents in central Austin. Bryan recently served a four-year tenure as a board member of the Greater Austin Hispanic Chamber of Commerce and currently is a board member of the City of Austin Downtown Commission. 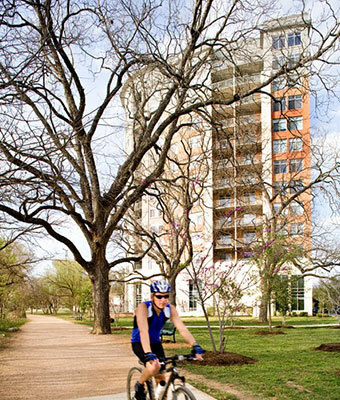 In short, Bryan is your premier resource for downtown, green and luxury dwellings. Are you a builder or developer? Feel free to email me directly if you'd to explore how Bryan Cady and his team can assist with comprehensive exclusive sales and marketing systems for high rises, townhomes, mulit-unit condos, architecturally significant homes, luxury, waterfront or mixed-use developments. © 2019 Dwell Downtown Inc. • Your source for Downtown Austin Living • All Rights Reserved. This site is designed as a resource for both individual owners, buyers and tenants. Bryan Cady of Dwell Downtown, Inc. is a licensed agent and is affiliated with DEN Property Group. Bryan Cady does NOT represent the builder. For Information About Brokerage Services, click here. All information containted herein is deemed reliable but not guaranteed. Buyer must verify.